Making jam at home is not only tasty and simple, requiring only a few ingredients, it is also very easy for the inexperienced cook to attempt. In most cases, mixing your fruit with an equal part of sugar will help you to achieve good results. However, some of the fruits that we would like to make jams with such as strawberries and raspberries are low in an ingredient called pectin. Pectin is what helps our jam to thicken and set and it could be compared to gelatin. If your fruits are low in pectin then you can buy specific pectin sugar or 'jam sugar' as it is also known, which can help to give back some of that structural integrity to your jam and help it to set more successfully. However, some would argue that pectin sugar is not always that necessary. It can depend on the quality of the thickness you prefer in your jams. Experiment using both everyday caster sugar as well to see which you feel provides you with the best results, as some fruits will need it more than others. Citrus fruits such as oranges and lemons, apples, grapes, cranberries, plums and gooseberries have a high pectin content. Strawberries, raspberries, blueberries, apricots, cherries, peaches, pears and pineapple are some of the fruits that are low in pectin levels. 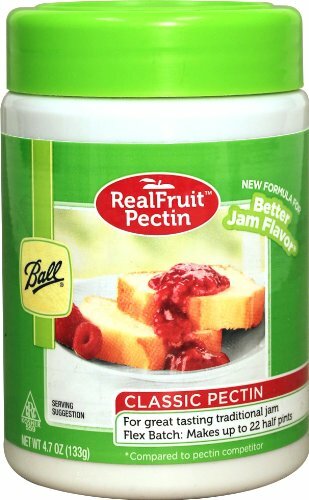 Pectin derived from fruits is suitable for vegetarians and vegans because it is naturally occurring, whereas gelatin is often sourced from pork and beef bones and cartilage which are grinded up. This may sound quite disgusting but that is what helps some of the chocolate mousses that you see in the supermarkets (among other gelatin containing products), to set. Pick up and read the ingredients on the back of a pack of mousse yogurts the next time you are in a supermarket to see for yourself that these products actually contain gelatin derived from meat. I have to say, when I first found this out it put me off mousse. Then again, pork gelatin can also be found in products such as marshmallows and helps to give them their bouncy, fluffy texture. Jam is great as a gift in the holiday months, as a romantic present for a loved one, or simply for enjoying at home with your family on a daily basis. Homemade jam adds not only a personal touch, but can be a thoughtful gift which has the bonus of being very inexpensive to make, not to mention the fun children can have helping to make the recipe! So let us get started looking at these tasty and easy recipes. Strawberry jam is certainly a classic jam if ever there was one. Some people prefer a smoother jam with no fruit bits in it whilst others are happy with those chunks of natural fruit. If you do not want fruit bits in your jam then strain the mixture out through a sieve before pouring it into a jar. 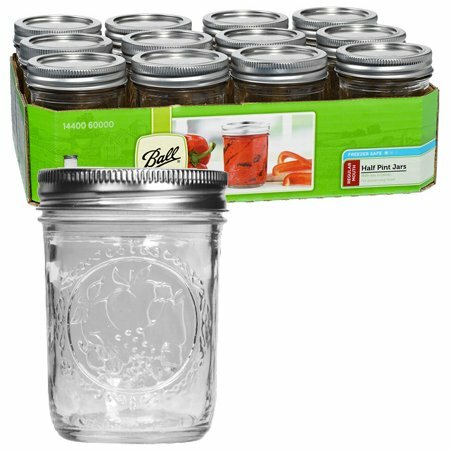 However, you will find that this diminishes the quantity of your jam product and you may need a larger amount of fruit to fill the jar, but it can be easily achieved. *Two clean and washed, sterile jars are also needed. (Pour boiling water from a kettle into them to sterilize fully). In a large saucepan, add your strawberries and allow them to soften over a low simmering heat. Crush them into a pulp using either a handheld blender or a potato masher which can also achieve good results. Add the sugar and lemon juice to the strawberries. Keep stirring the mixture together and slowly bring to boiling point. Eventually, the mixture will become heavier to stir and the bubbles less frequent. When it reaches this point after approximately ten to fifteen minutes, then remove the pan from the heat. *A good way to tell if your jam is ready is to place a small amount on a cold saucer or plate and place it in the fridge for approximately two minutes. After this time, if you can push the jam on the plate with a finger and it stays intact then this means that it has set properly. This is sometimes called the ‘wrinkle test’ or ‘ripple test’. Allow the mixture to rest off the heat for ten minutes and then stir it to check that the fruit is evenly suspended throughout the mixture. Then transfer it to your two washed and sterile jars and seal with the lid. (You may find that using a small funnel placed over the jar will help you to add the jam more accurately and quickly). You will notice that the heat locks in and the lid should pop and dip inwards, making it air tight. Now allow the jam to cool by itself at room temperature for at least a few hours before placing it in the fridge. The jam will keep well in a fridge for up to a month or you could freeze it to make it last even longer. A lovely refreshing and vibrant marmalade adds color and flavor to any breakfast table. Try this easy recipe and bright alternative to jam for a real morning pick-me-up treat. *Two clean and washed, sterile jars are also needed. The three steps to make this delicious marmalade are identical to the ones above for the strawberry jam. You can literally substitute many different fruits with this formula and method to create and personalize your own jams and preserves! Have a go experimenting with different combinations of fruit to perhaps create your own signature jam for family and friends to enjoy. I hope this shows you just how easy making jam yourself at home can be. Below is a video from You Tuber Laura Vitale from her channel ‘Laura in the Kitchen’. Laura includes how to sterilise your jars and shows you her canning process for making jam. Thanks for a good article. People are scared of making jam, but it's really not that hard. I usually have a load of extra raspberries from our garden which I freeze. Then later when I have time I use the frozen berries to make awesome raspberry jam. Hello HLesley, thank you and I am glad you like the article. I agree, once you get started it is such an easy process. Raspberry jam is one of my favorites too and that is a great idea to freeze fresh berries making them last much longer.